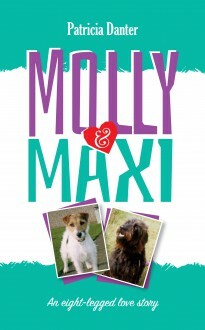 Molly is a mad, lovable terrier cross from the local animal rescue centre; Maxi is her best friend, a younger black Labradoodle. Since the two met while playing in a field near their homes in South Wales, they have been the greatest of friends, and so have their owners, Pat Danter and Sue Robinson. This little book is a tribute to the two dogs, and the many other animals which have enhanced Pat’s life and those of her friends.